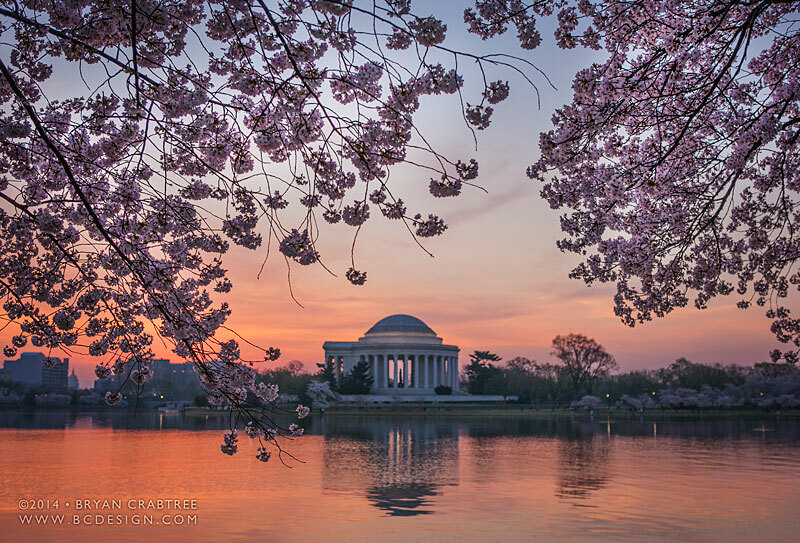 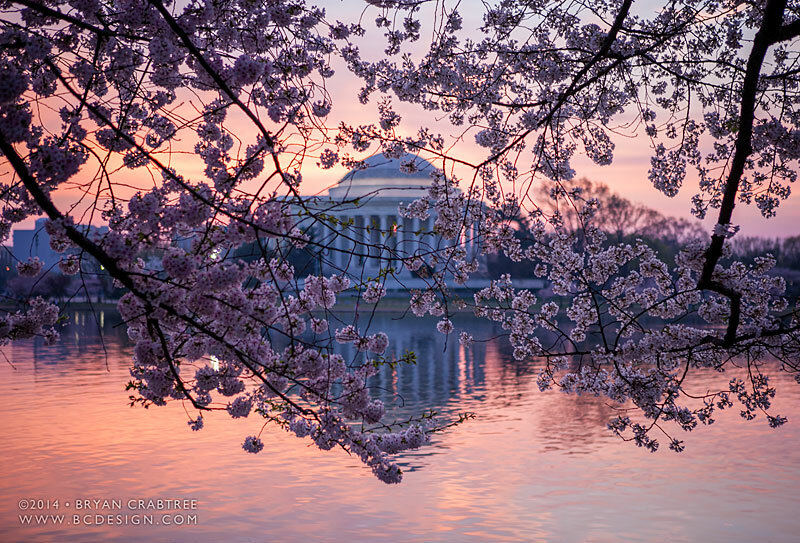 Starting by the Jefferson Memorial, we slowly wandered our way around the basin taking it all in as the sun rose. 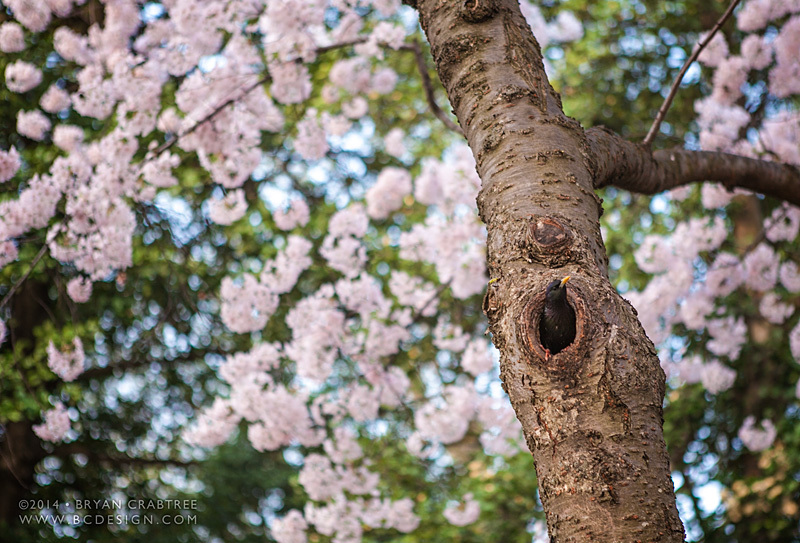 We only stayed a couple hours and could have spent the whole day, but the crowds were starting to get a little crazy. 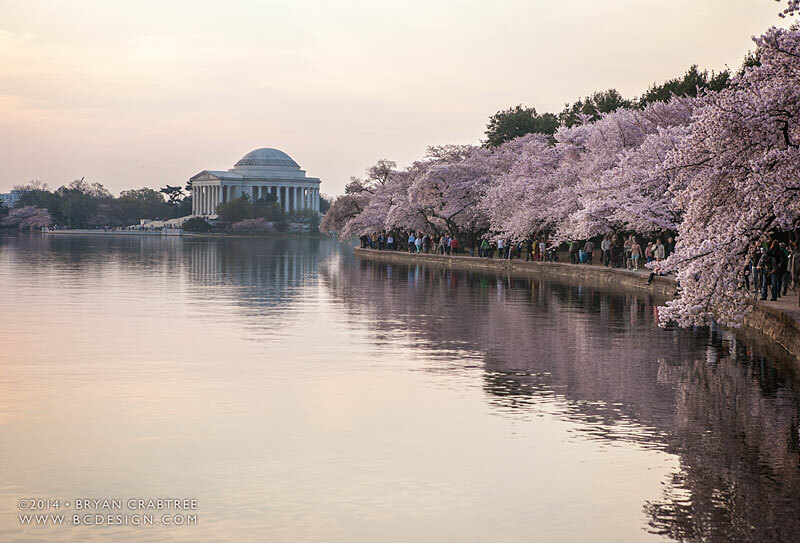 I was honestly surprised at how many people were there at 6am, but I get it, the blossoms are a sight to behold. 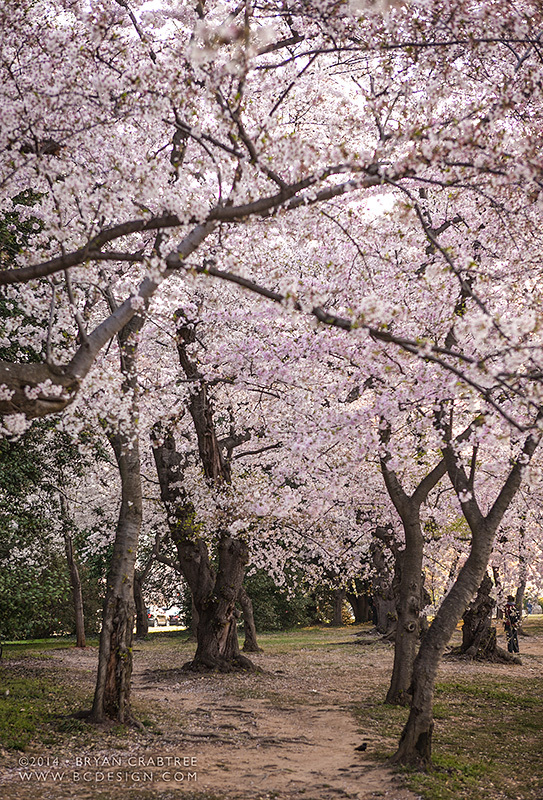 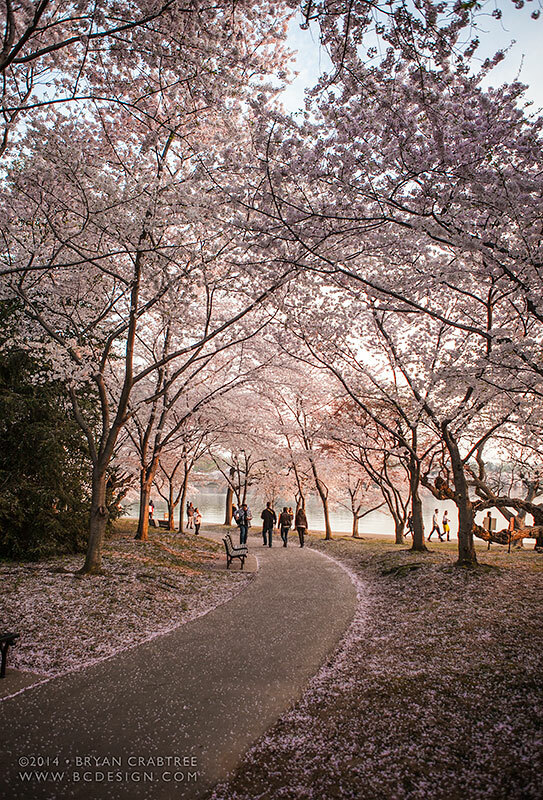 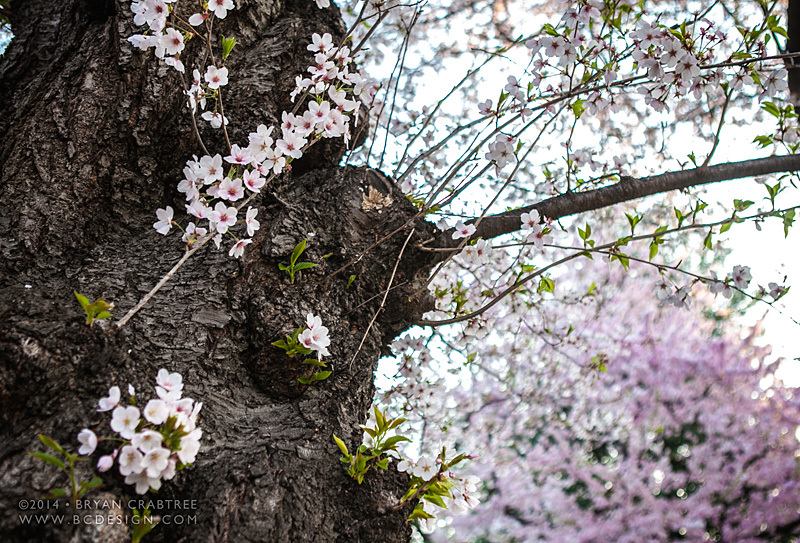 Some have gone as far to say that the Washington peek bloom is more impressive than peek bloom in Tokyo, Japan (where these trees originated in 1912). 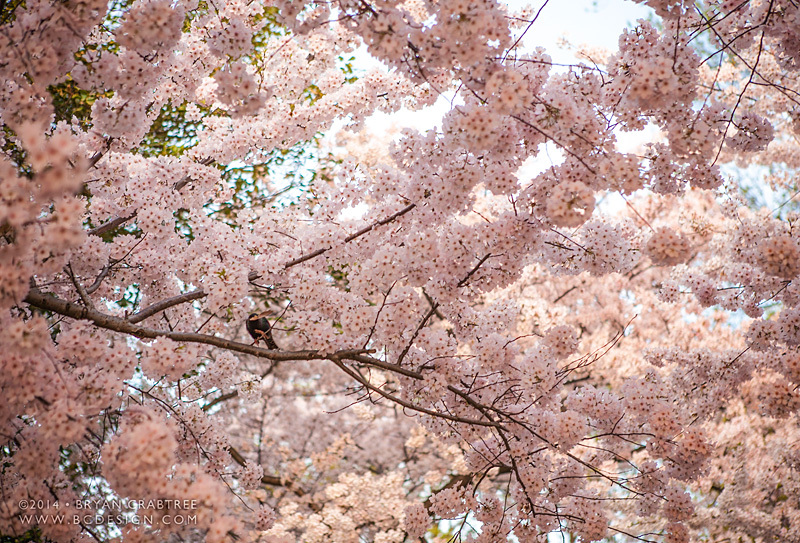 I can't really comment because I have yet to visit Japan, but they were definitely very impressive. 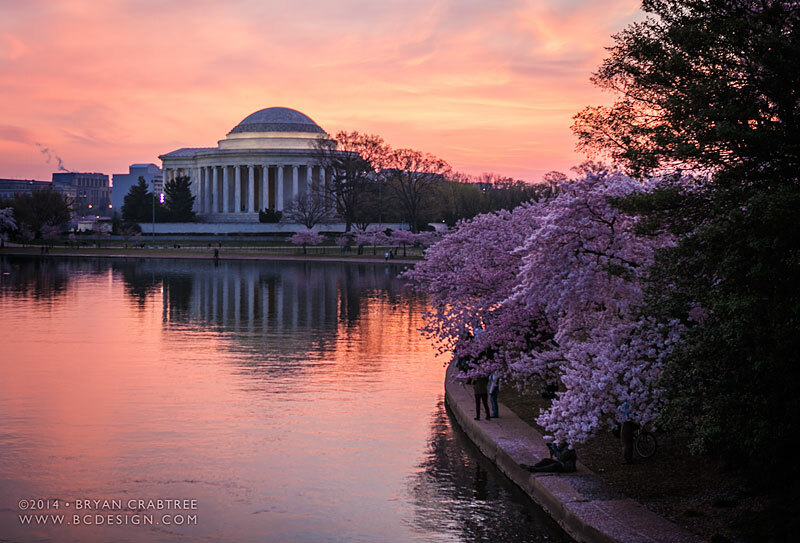 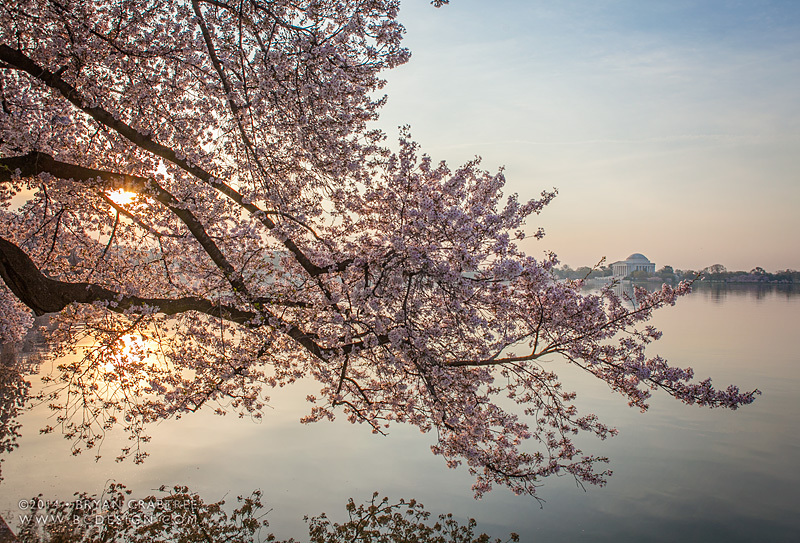 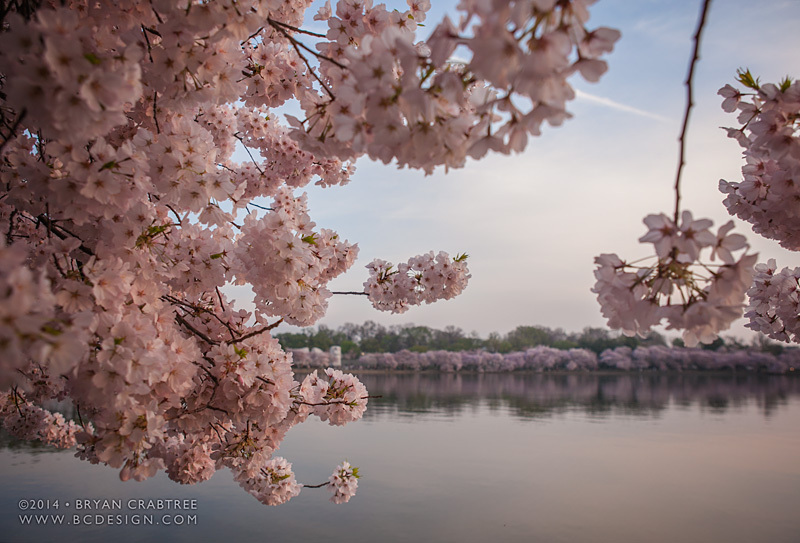 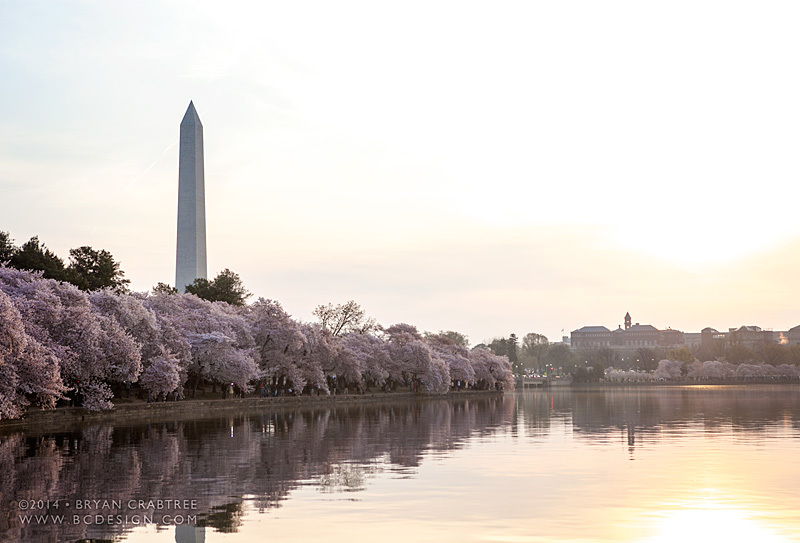 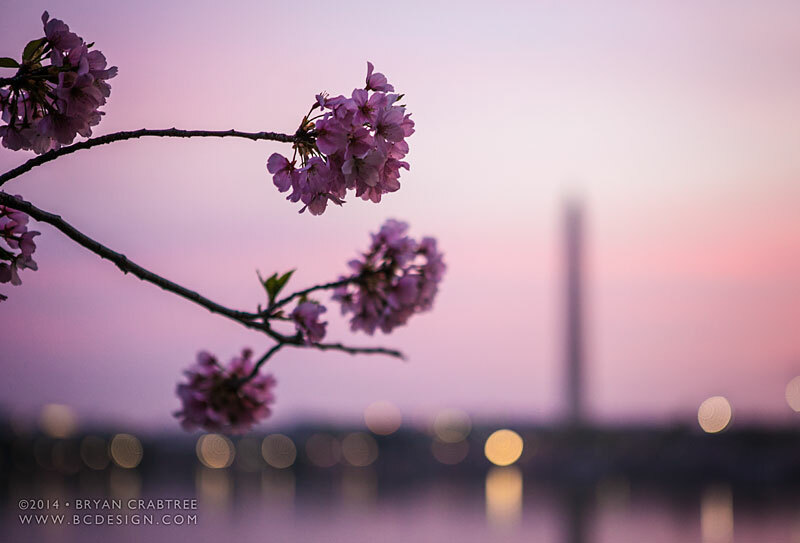 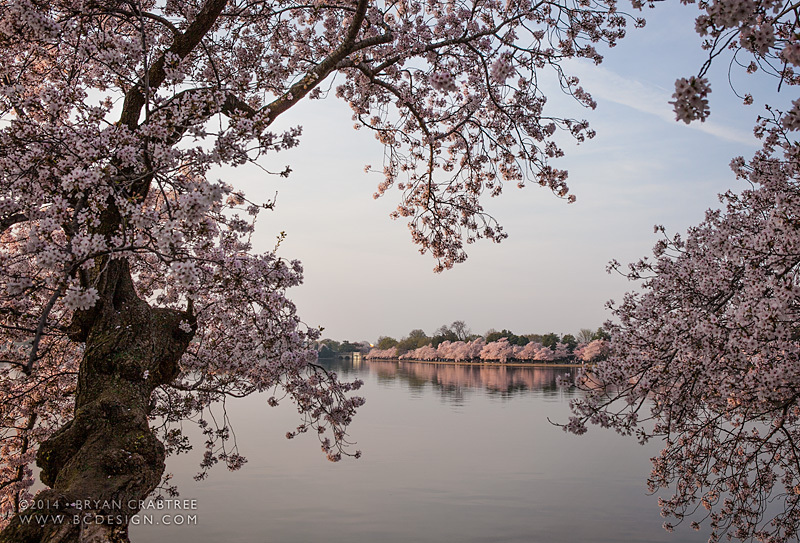 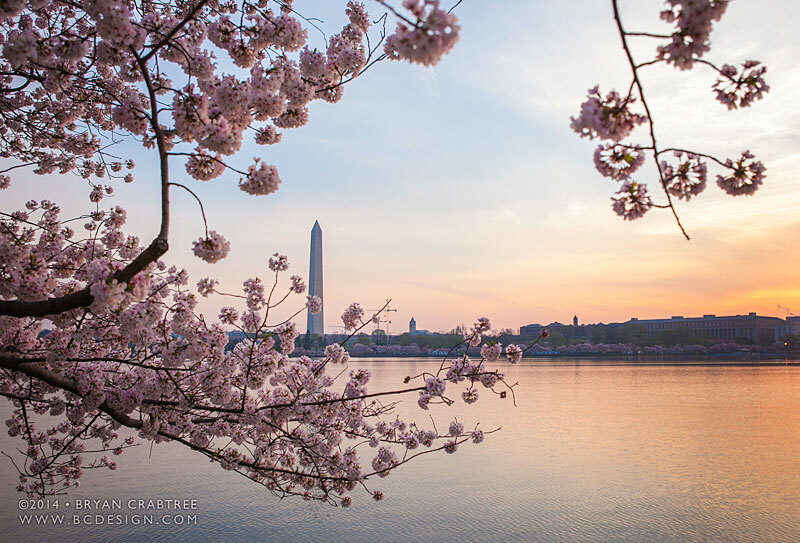 If you get a chance to visit the Washington, DC area in the spring, make a point to take a walk around the Tidal Basin, I'm sure you won't be disappointed.